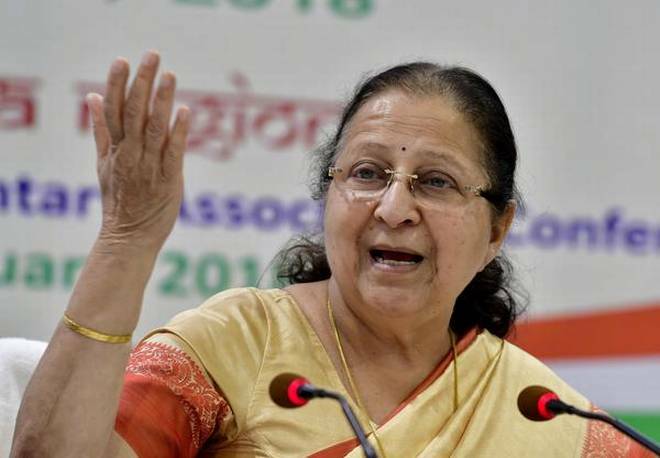 New Delhi: Lok Sabha Speaker and sitting BJP MP from Indore Sumitra Mahajan on Friday confirmed that she will not contest the 2019 general election. 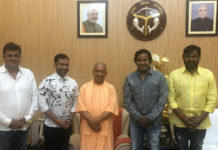 In an official release, Mahajan said that the party has been delaying the announcement of the candidate’s name from Indore which led her to assume that the BJP has hesitation in naming her its candidate from the parliamentary constituency of Indore. 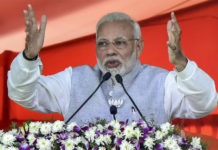 The 75-year-old BJP veteran asserted that she had earlier spoken to senior party leaders, adding that the party can now feel free to name the candidate of its choice from Indore constituency. There has been suspense over Mahajan getting the ticket for the Lok Sabha poll as she would turn 76 this month. 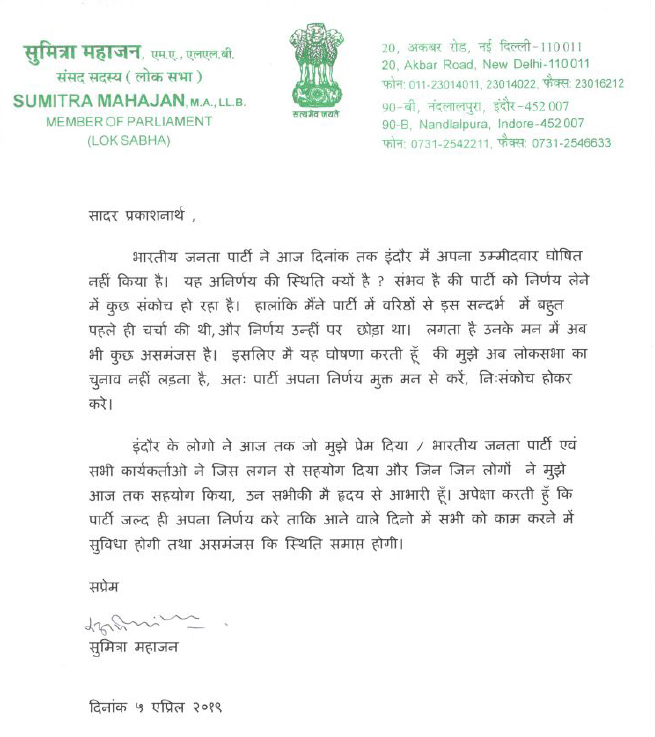 Sumitra Mahajan has been an eight-time MP from Indore. 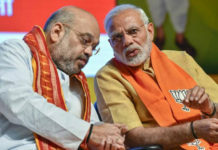 BJP recently decided to set an age limit for its candidates due to which party veterans like LK Advani and Murli Manohar Joshi were sidelined. Mahajan has been consistently bagging the Indore seat since 1989. She had registered a massive victory against former chief minister and senior Congressman Prakash Chandra Sethi.